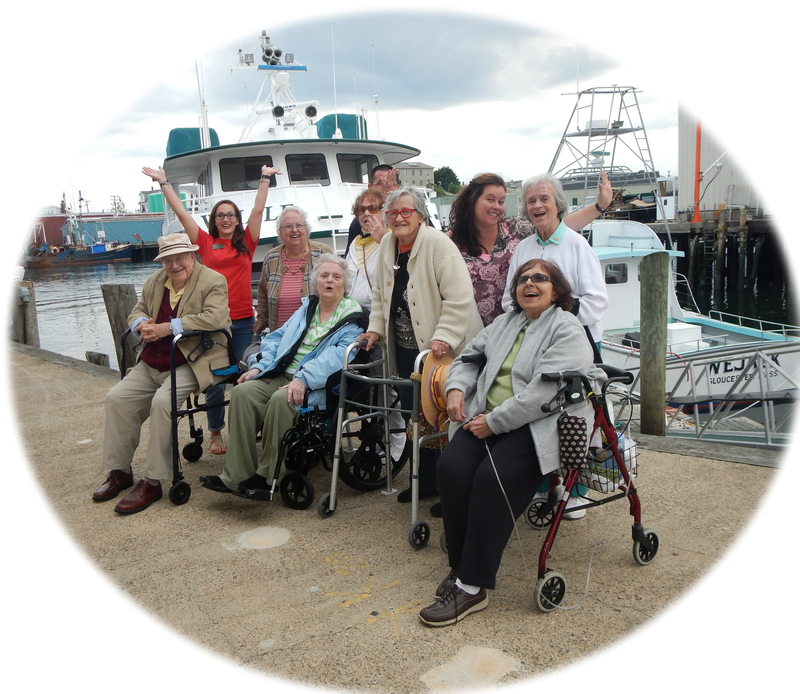 Our Activities & Volunteer Coordinator, Athena Raptis, has been with the Bertram House of Swampscott since 2005, and has worked in the activities field for over 15 years! She runs an incredible variety of fabulous programs at our community. Click the links to open the current month's calendar for Assisted Living or Reminiscence. Our daily exercise programs are designed to maximize our residents’ strength, balance, and flexiblity, while offering enough variety to keep everyone active and engaged. Offerings include chair dance exercise taught by a physical therapist, yoga, chair chi, and “Chaboom”. A variety of games are offered weekly, including cribbage, bridge, pinochle, Name That Tune, and Wii bowling. A new addition is The Great Courses, a series of college-level video courses covering a wide variety of topics. Our residents hold a discussion group following each episode to talk about the class and exchange ideas and opinions. We also host a monthly art history presentation, education lectures from Excella Healthcare, and weekly “brain games” at the front desk, where our concierge asks fun and challenging trivia questions. Communion, Protestant Worship, and Ecumenical Service & Song are offered to nurture the spirit, along with community celebrations of Hannukah and Passover. Through our partnership with the Swampscott YMCA, we offer monthly activities which give our residents the opportunity to help a group of toddlers with crafts, reading, and to simply enjoy visiting with the children on their visits. Our many weekly outings include shopping trips to Vinnin Square, breakfast and lunch outings, and scenic drives. 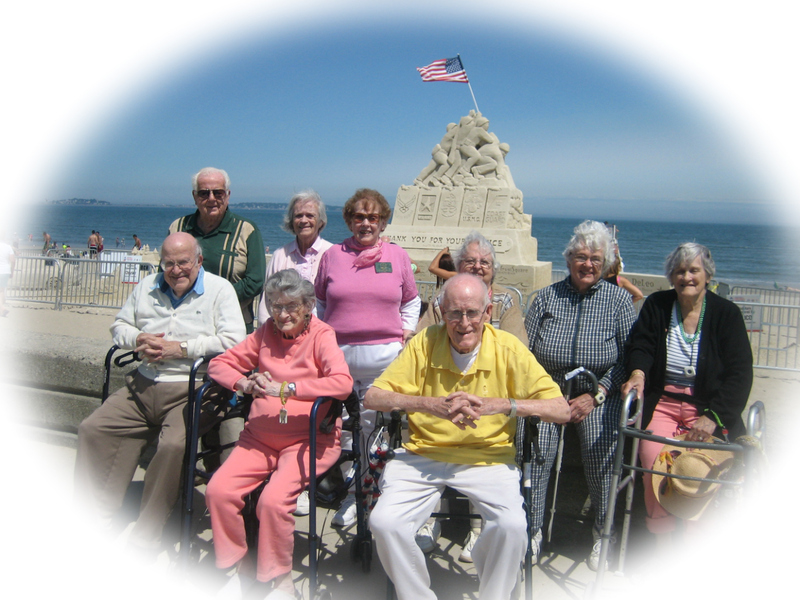 Special outings have included whale watching, outings to local theater productions, and a trip to see the sandcastle contest at Revere Beach. We also visit the North Shore Music Theatre several times a year.